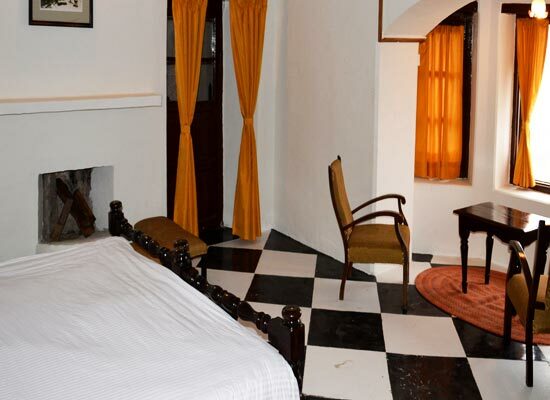 "One of the best heritage hotels in Mussoorie, Cloud End is a hundred and seventy- five year old property was constructed in the year 1838. After an amazing upgrade and modern additions, this property offers a comfortable stay to the guests who come here for a memorable experience. The blend of colonial tradition with world-class comforts is the highlight. Currently the property has deluxe suites in the Swetenham block, and deluxe rooms in the Annexe block. An independent log cottage with 10 huts and 2 cabins is under renovation. 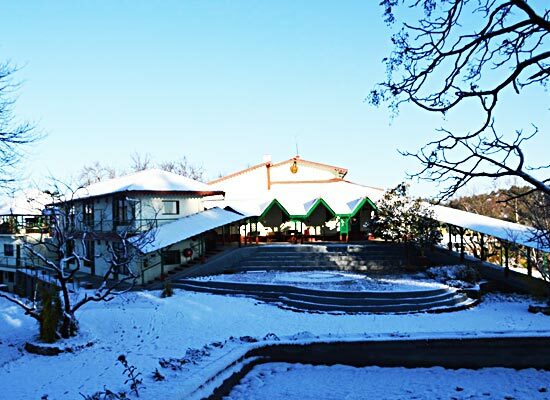 At the on-site Rose's Diner restaurants, the guests can not only savor sumptuous multi-cuisine delicacies but can also treat their eyes to the wonderful views of the surrounding snow-clad peaks. Major Swetenham, the Commandant of the Invalids establishment at Landour stayed in the western end of Mussoorie. How he landed at the site of the property is backed by an interesting story. During one of his hunting expeditions, the sweet voice of the daughter of the local village fell in his ears and he fell in love with her. With approval from the parents, they both married. On the estate of her father, this couple constructed a house and called it Cloud End, naming it after a peak opposite his home in Edmontia in Wales. Later, the property got down to generations and was sold by husband of one their granddaughters. In the year 1965, Col. E.W. Bell sold the property before leaving for England. Mr. Digvijay Agarwal, the owner of Cloud End, converted into a heritage hotel. 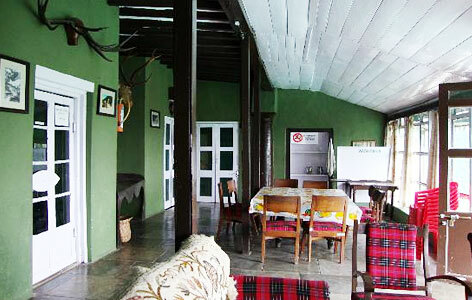 The accommodation at Cloud End Resort is segregated into Heritage Deluxe Suites (4), and Deluxe Rooms (6). The guest rooms and suites have a wonderful décor and offer a comfortable stay. 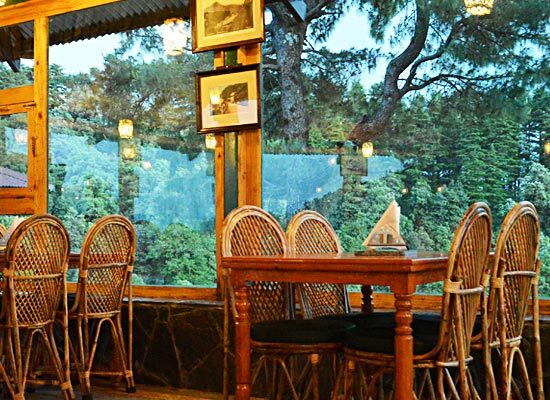 Savor wonderful views of the surroundings hills from the window/balcony. The capacious and clean rooms feature a fire place to keep you warm during the winter months. The attached bathroom comes with complimentary toiletries. Some of the modern comforts in these rooms are wooden wardrobe, king-size bed, LCD TV with satellite/cable connection, table with comfortable chairs, telephone, round the clock hot and cold water, room service and so on. While the Heritage Deluxe suites are in the Swetenham block, the deluxe rooms are located in the Annexe block. Currently, an independent log cottage with 2 cabins, and 10 huts are under renovation. A tribute to the Major’s wife, Gulabo aka Rose Swetenham, Rose’s Diner is a multi-cuisine restaurant for the guests. The kitchen serves vegetarian as well as non-vegetarian delicacies of Indian and Chinese fares. Bonfire with bar-be-que add a special charm to the evenings. The ambiance is wonderful and the staff is well-mannered. The chefs prepare lip-smacking dishes with freshest of ingredients. Some places that should not be missed during your tour to Mussoorie are Bhatta Fall, Kempty Fall, Nag Devta Temple, Mussoorie Lake, Sir George Everest House, Van Chetna Kendra and Jwalaji Temple. 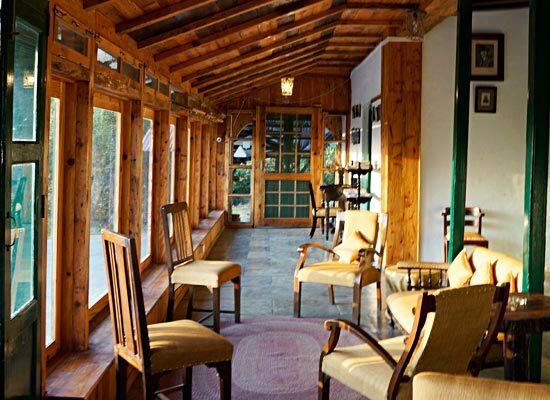 So, rush to book yourself into Cloud End, Mussoorie.